Trek to Kilimanjaro 5,895m / ‘The Roof of Africa’ / Uhuru Peak (take your pick) in aid of Chiltern Centre for Disabled Children. Kilimanjaro, one of the famed 7 Summits, this lone mountain dominates the African horizon. A carefully thought out plan is essential to gain its coveted summit. We pack up our kit and head out of town en route to our start point. On the way we stop for lunch at the Lemosho Gate, seeing the hustle and bustle of porters and crew preparing their loads. After sorting park formalities we load up onto our mini buses again and travel the final 30 minutes up to our start point at the Morum Picnic Site. A great starting point for us as we rarely see any other trekkers on the start of our route. We are trekking for only 2 hours today with an altitude gain of 100m so a gentle introduction for our climb through the moorland zone giving you time to relax into your venture that lies ahead. Yes, we are and we have one of the highest ratings possible. We are very proud of this, Our porters and crew make your climbing and trekking possible. They sing and dance up the mountain giving us an incredible experience. In return, we do our utmost to support them back. Is 360 part of the IMEC. Responsible travel? Everything was sorted by 360, all we had to do was show up! A smoothly run operation. 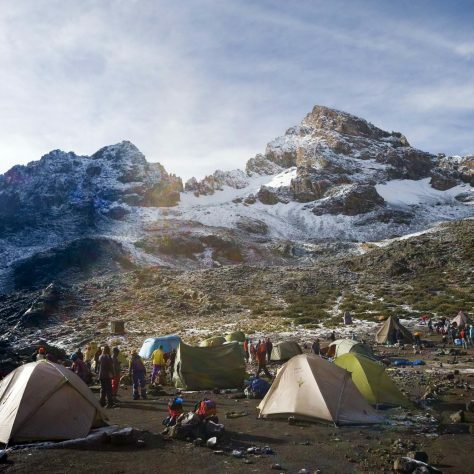 I was blown away by what people can do in such extreme environments – we were kept motivated, looked after, fed and hydrated, given shelter and had toilets all on the side of a mountain! If you are thinking of doing a big challenge abroad, say yes to 360!